I have shared this song before, but the chorus is so important that I'm going to share it again in hopes it will touch hearts. It speaks to our need to give ALL to God, the fact that warming a pew just isn't going to do it. I hope this convicts us where we need it and we all make the choice to give Him what He requires and deserves - EVERYTHING! I don't wanna go through the motions I don't wanna go one more day without Your all consuming passion inside of me I don't wanna spend my whole life asking, "What if I had given everything, instead of going through the motions?" 'Cause I don't wanna go through the motions I don't wanna go one more day without Your all consuming passion inside of me I don't wanna spend my whole life asking, "What if I had given everything, instead of going through the motions?" 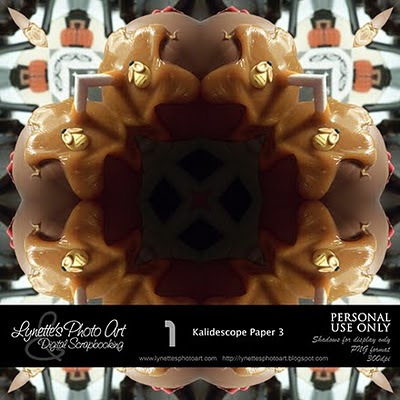 Today's gift is another in my kaleidoscope series of papers and it's too sweet! I made it from a special gourmet apple we got at Disney...Pooh's honey pot complete with the bee! I have used these kaleidoscope images as frames by removing the solid centers. Enjoy! If you like it well enough to download, please leave me a comment at the bottom of this post as I have disabled 4shared comments. Please support this blog by shopping my PayPal store. God bless you! The kaleidescopes are really cool, thank you! Nice brief and this enter helped me alot in my college assignement. Thanks you for your information.